Conversions from old, homebrew or unsupported systems to Predator without losing legacy data is the key to a successful conversion. 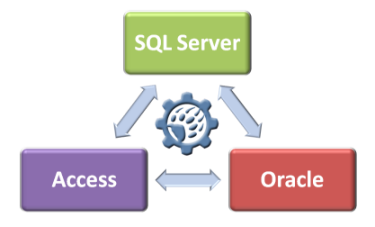 Rely on us to migrate your data smoothly over to Predator applications. Over the years numerous systems have been converted. The following examples are special because we have developed specific conversion software. Conversion of Cimco NC-Base to Predator PDM is supported via a combination of software and services. Conversion of Cimworks Visual DNC to Predator DNC or Predator DNC Enterprise is supported via a combination of software and services. Conversion of Intercim's FACTORYnet including Oracle and Gupta style databases to Predator DNC, Predator DNC Enterprise and Predator PDM is supported via a combination of software and services. Conversion of Mazatrol files from all major software providers to Predator DNC or Predator DNC Enterprise is supported via a combination of software and services. What's the best way to convert legacy data? Always extract the legacy data in it's raw form to a comma delimited flat file format. Does all of the legacy data need to be migrated? No. Often a subset of the data is all that should be migrated.